Unlocking a global collection of unique destinations, the Ikon Pass provides constant refills on a snowbound adventure. Starting at $649 for adult, the best deals on the ‘19/20 Ikon Pass are happening now, including promos for kids, renewal savings, an easy-does-it payment plan, and (get out that sunscreen) spring access. Speaking of spring, it’s the perfect time to hit the sunny slopes of California’s best: Big Bear Mountain Resort, Mammoth Mountain, and June Mountain. To get access to the slopes this spring – as in right now for Big Bear, and April 8 at Mammoth – all that’s needed is an Ikon Pass. With the insane snowfall this year, you will be skiing and riding well into July. So, lock in your spring sessions and stomp this sale now. Prices go up and early season promotions go away on 4/24. Arrive at Los Angeles International Airport and head straight for San Bernardino National Forest, home of Big Bear Mountain Resort. Consisting of twin properties—Bear Mountain and Snow Summit—Big Bear is the place where Southern California goes to ski and ride. Head to the top of Bear Peak and start your day on Geronimo, the highest lift-served run in Southern California at 8,805 feet. To really get your legs burning, test your skills at the canyons: Bow, Deer, and Goldmine. After a good storm, the canyons deliver praise-worthy glade skiing and riding. If you prefer to kick off your slope time with something more mellow, ride up Bear Mountain Express to glide down wide blues and casual greens like Upper Park Run, Expressway and Hidden Valley. Fill up on a plate of jumbo smoked chicken wings at Boneyards, a Southern Style Smokehouse located in the main lodge at Bear Mountain. Once fully refueled, hop on the free shuttle to Snow Summit. Ease back into your rhythm with some turns down intermediate slopes like Log Chute and Side Show. When the sky opens up, make your way to The Wall or Timber Ridge to tackle some fresh powder. And be sure take more than one ride down Westridge, a 1.5-mile terrain park where you can practice those jumps and jibs. If you plan to stay a little later, this run gets a mid-day groom to prep for night skiing, giving guests the freshest terrain since first chair. Hail a ride with the Big Bear Trolley (runs only on weekends) and make your way into town to pick up some Big Bear gear at BBMR Village Shop. Then end the day with a few rounds at the Bowling Barn, a retro 16-lane bowling alley complete with a sports bar, billiards, darts and arcade games—more than enough to keep everyone entertained. Keep the party going at Murray’s Saloon, where crowds of colorful locals showcase their singing skills at the karaoke console. Wake up early, pack your gear, and drive north past Sequoia National Forest and into the beautiful Sierra Mountains to Mammoth Mountain. Known for massive snowfall and one of the longest seasons in the country, Mammoth offers skiers and riders some of the best and most diverse terrain in California, not to mention breathtaking vistas screaming for a photo op. Take in the stunning views of the iconic Minarets—and snap a selfie or two—in front of the Mammoth Mountain 19-foot summit sign. But be warned, it may be completely buried in snow. 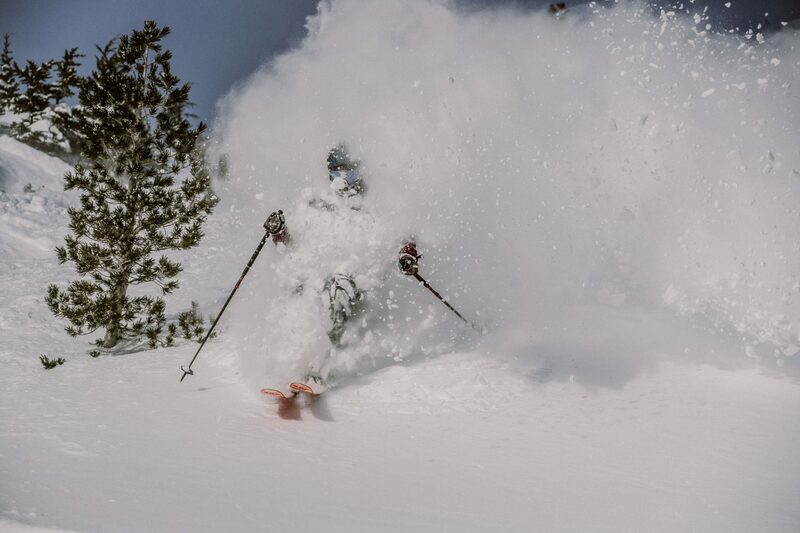 After snagging that Instagram-worthy shot, drop into the expert terrain of Huevos Grande or Climax and weave down to Canyon Lodge or Main Lodge base areas. Give your legs a break and hit some smooth blue runs or check out the enhanced terrain “fun zones” for something a little more challenging. Kick back with a craft cocktail, wine or draft beer at The Yodler Restaurant & Bar, located across the street from the Main Lodge. The European-style eatery serves up Bavarian specialties, including house-made bratwurst and chicken schnitzel sandwiches. Gather the crew around a warm pot of fondue or share a giant pretzel while taking in the mountain views from the sundeck. For those looking to hit the slopes early, make a stop at Stellar Brew on Main Street for a delicious and filling pocket burrito. Discover some of the best snow and wind buff on the mountain at Drop Out and Wipe Out Chutes, accessible from Chair 23. Then head to the backside of the mountain to experience powder paradise at the Hemlocks, the in-bounds, hike-accessed steeps that big mountain skiers and riders live for. Refuel at local fave The Melt House, nestled at the base of the Hemlocks. Nosh on fresh grilled cheese, sip craft beer and watch as people rip down the mountain. Spend the afternoon exploring the over 150 trails at Mammoth or snap out of your gear and take a speedy ride down the groomed runs at Woolly’s Tube Park—ideal for the kids or the children-at-heart in the group. Celebrate your time on the mountain with some live music at 53 Kitchen & Cocktails in The Village. This local hotspot serves up house-infused and barrel-aged concoctions alongside coma-inducing plates of warm salted pretzel bread, chili fries and truffle potato chips. Take a short drive and spend the day on the easy-going, wide-open slopes of June Mountain. This family-friendly resort has 1,500 acres of uncrowded terrain to enjoy. Head to The Lift on Main Street in June Lake Village for a caffeine boost and delicious grab-and-go options to fuel your morning. Expert skiers and riders can hit J7 for access to the steeps off the summit—Deer Bowl is a favorite on powder days. Be sure to stop for a selfie at the June Lake Chalet overlooking the entire June Lake Loop. One look at this view and you’ll understand why it’s called a little Switzerland. While at the Chalet, grab a plate of chili fries loaded with red chili, melted cheese, and onions. Wash it all down with a famous Bloody Mary from the historic Antler Bar as you relax on the sundeck and take in the alpine views. Head back out to hit some mellow runs from Rainbow Summit or challenge your legs to some sharper chutes from June Mountain Summit. Ease your sore muscles at Double Eagle Resort and Spa, the perfect spot to enjoy a few hours of post-riding relaxation. 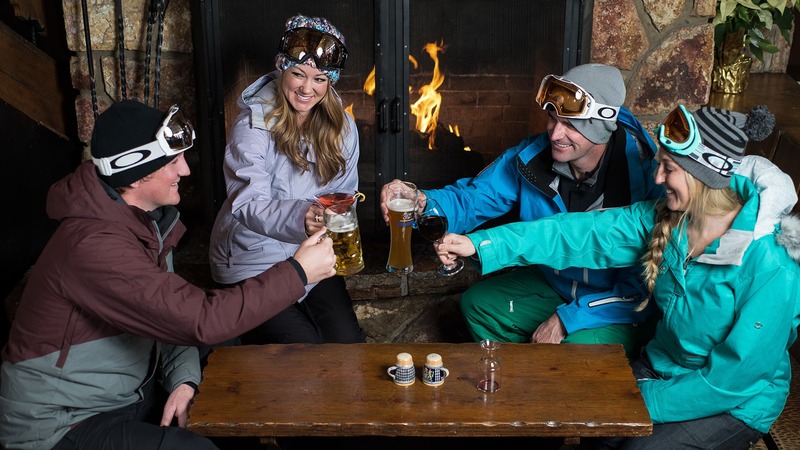 Then top it all off with a stop at June Lake Brewing and toast your time on the mountain with a local craft beer. 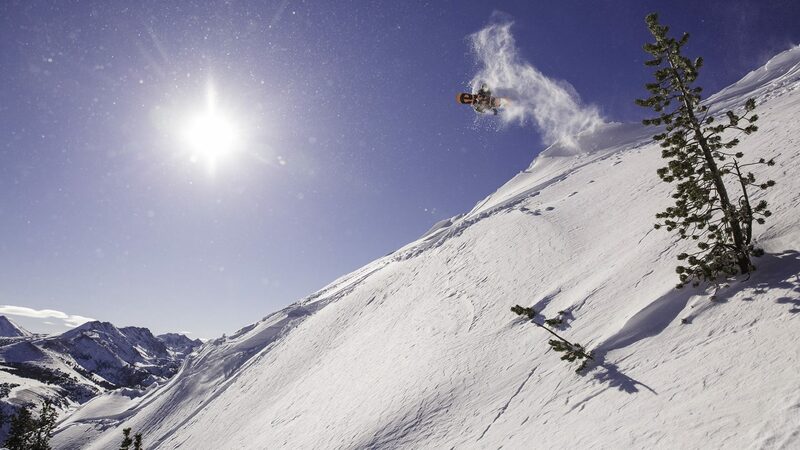 Ikon, Epic and Powder Alliance passes are a good thing. They provide people all kinds of options to unlimited skiing through out the entire world if you choose and if your bank account allows for that. However there is a down side to that. Some smaller ski areas that have joined up with the big corporate passes just said no. They were over run with parking congestion, lift lines and simply did not have the resources to deal with the huge throngs that mobbed their resorts. Equally important, the locals who made those smaller ski areas over decades were now swamped with not only with the swarming hordes but more local crime, drug abuse and other problems that never existed before. Sometimes local and small is better. If it ain’t broke don’t fix it. June is already closed. You’re a little late for the party.